PROTEIN 101. WHAT DOES IT DO AND HOW MUCH DO WE NEED? As health devotees, we are all familiar with the word ‘protein’. It’s hard to read a fitness article without it being mentioned – why we need it, how much we should consume, what builds muscle best. 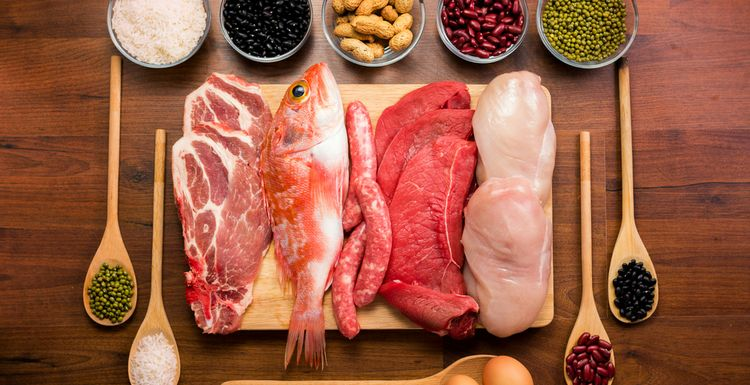 Protein comes from the Greek word meaning ‘prime importance’, so we think it’s important to know exactly what this crucial nutrient does for us. Essential amino acids cannot be produced by the body and must be obtained through diet. Nine of the twenty amino acids are “essential”. The body uses them to create new proteins regularly so ideally you need to consume them daily. Animal protein contains all 9 essential amino acids in each serving. Nonessential amino acids are made by the body and, though important to health, they do not need to be consumed every day. Eight of these are “conditional”, meaning your body may not produce enough when sick or stressed. Protein is the building block of life – we wouldn’t survive without it. Its main job is to build, maintain and replenish our muscles, organs and tissues. It also helps with blood clotting, fluid balance, vision, immune response and hormone production. Protein also contains energy, giving the body 4 calories per gram. It helps fill you up because it takes longer to digest than carbohydrates. For this reason it’s good to include some quality protein with each meal. You need less than 1 gram of protein per pound of bodyweight per day. This is around 55g of protein a day for men and 45g for women. Any more will just go to waste. People who work out regularly should consume more protein, but don’t exceed more than twice your RDA or you could harm your kidneys. Consuming protein before and after exercise will promote muscle growth, although the best post-workout meals should include fast digesting carbs along with the protein for immediate fuel. I'm scratching my head a bit at a gram of protein per pound of bodyweight, which does seem to be a bodybuilder mantra. I weigh 11 stone which is 154 pounds, so that would mean 154 grams of protein per day. The article says half that for men (realising we are all different weights). I wonder which is right?